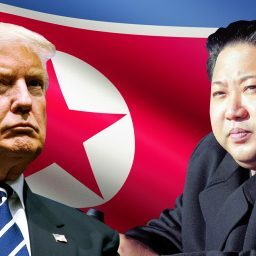 The Trump Administration’s Goals For North Korea Talks Are Out Of Step With Reality. 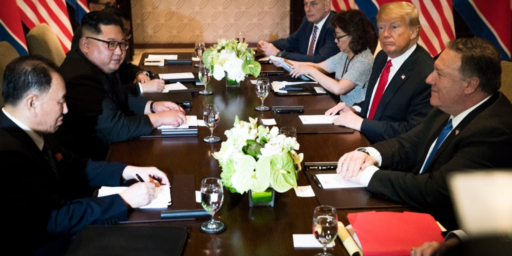 The Trump Administration still doesn’t have realistic goals for its negotiations with North Korea. 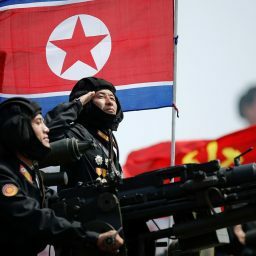 In the wake of the failure of the Hanoi Summit to reach any agreement at all, North Korea appears to be returning to old form. 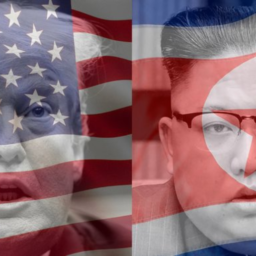 Once again, President Trump gets taken for a sucker by the North Koreans. 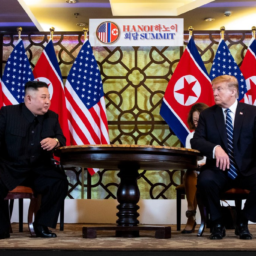 In the end, the reason the Hanoi Summit failed is because the Trump Administration is pursuing an unattainable goal. 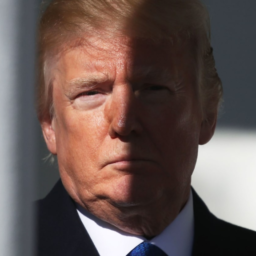 Once again, President Trump proves that in the face of evil he is a coward and a disgrace. 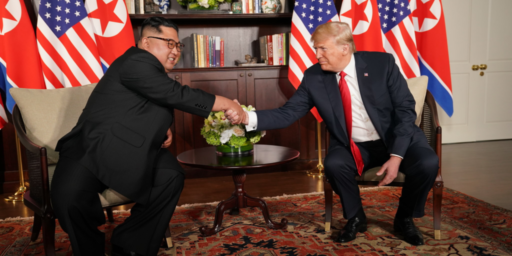 The second summit between President Trump and Kim Jong Un ended early without any kind of agreement, signalling that no real progress has been made in talks between the two countries. 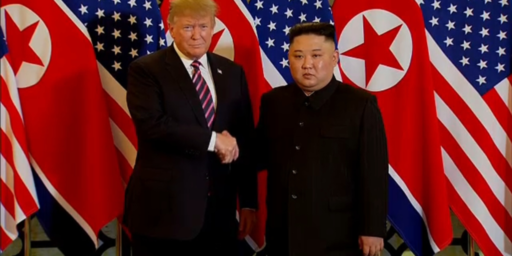 Trump And Kim Headed To Second Summit. 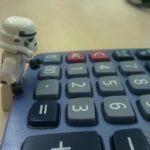 It’s Unlikely To Accomplish Anything. 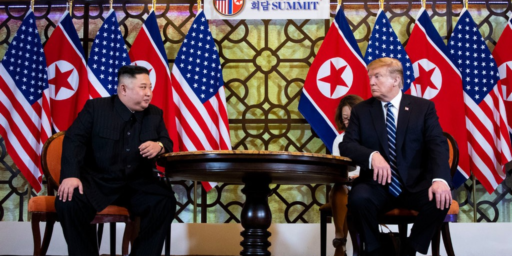 President Trump and Kim Jong Un hold their second summit in Hanoi later this week, but it’s unlikely anything significant will happen. 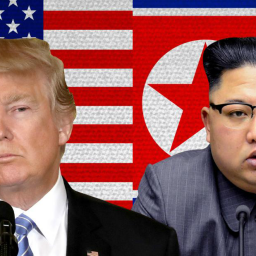 The date and location of the next summit between President Trump and Kim Jong Un have been set, but it’s hard to see what can really be accomplished. 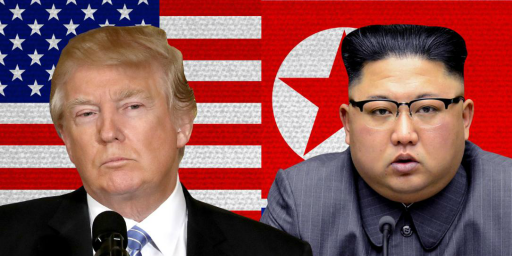 President Trump and North Korean leader Kim Jong Un will meet again in February, but it’s hard to see why. 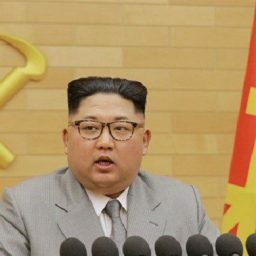 In his annual message, Kim Jong Un sent a message to President Trump on denuclearization and the future of the Korean Peninsula. 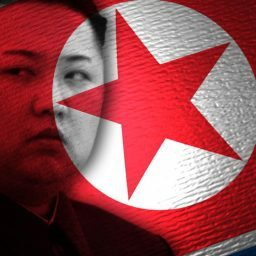 The North Korean government is making clear what it means when it speaks of denuclearization, and its far different from what the United States means. 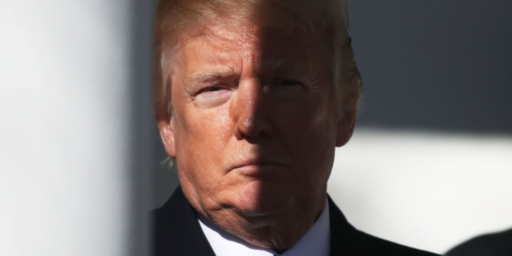 Donald Trump is a coward and an apologist for evil around the world. 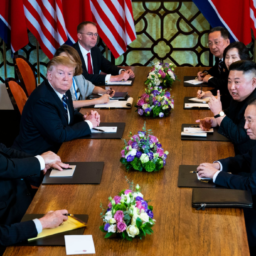 Two months after the Singapore Summit, there’s no sign that anything substantive has been accomplished on the Korean Peninsula. 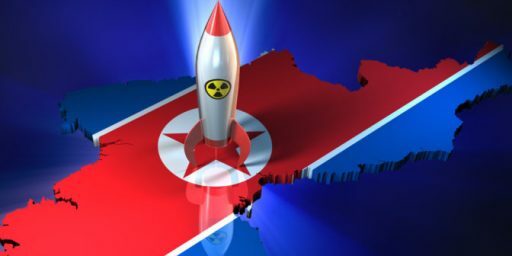 The Trump Administration continues to insist that North Korea is violating promises that it clearly never made. 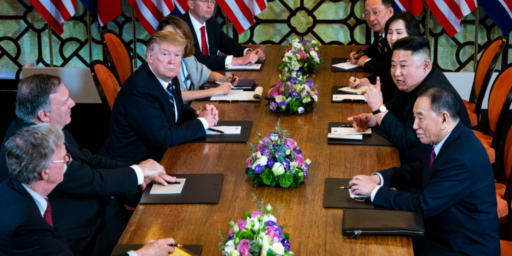 The Trump Administration is falsely claiming that the North Koreans made commitments at the Singapore Summit that they clearly didn’t agree to. 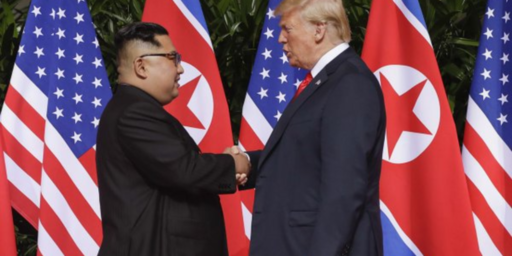 Yet another sign that the Singapore Summit didn’t really accomplish much of anything. 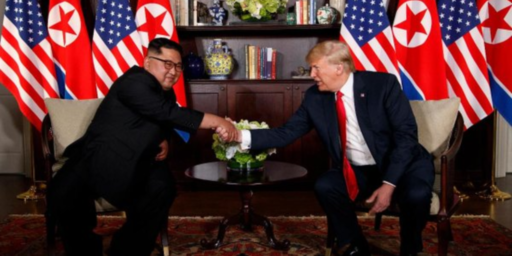 To the surprise of nobody other than, apparently, the President of the United States, the North Koreans are dragging their feet after getting what they wanted out of the Photo Op Summit in Singapore. 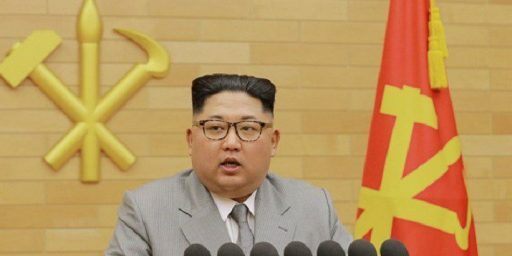 More evidence that North Korea isn’t living up to the promises it made in Singapore. 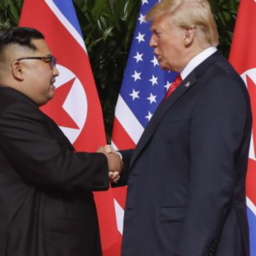 The supposed promises made at the Singapore Summit don’t appear to be working out in the real world. 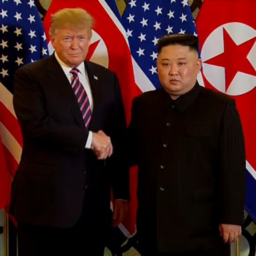 Donald Trump said he wishes people would ‘sit up and pay attention’ to him the way they do in North Korea when Kim Jong Un speaks. 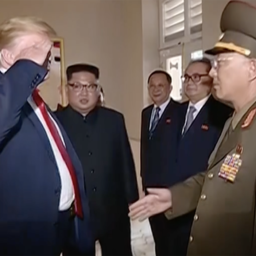 President Trump is at the center of controversy again after video emerged of him returning the salute of a North Korean General. 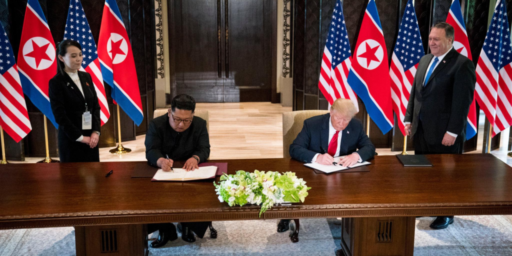 One outcome of the SIngapore Summit includes a purported agreement to work on repatriating American remains from the Korean War. This is a good thing, but the President couldn’t resist adding obvious embellishment. 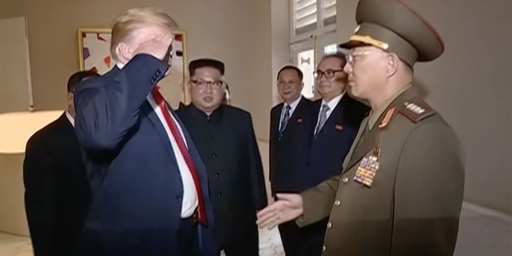 President Trump continues to dismiss concerns about Kim Jong Un’s brutality, and to lavish praise on a man who has a considerable amount of blood on his hands. 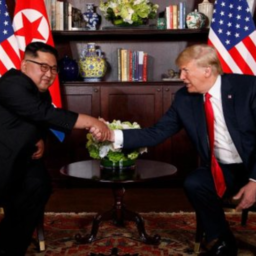 President Trump is touting his Photo Op Summit as the end of the North Korean nuclear threat. Reality is quite different. 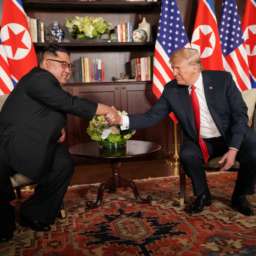 The Singapore Summit meeting between President Trump and Kim Jong Un was about as substance-less as most analysts anticipated it would be. 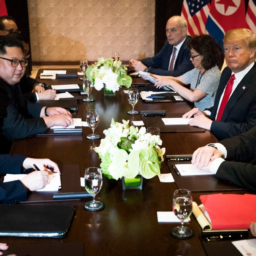 With the start of the Singapore Summit just hours away, it’s not at all clear what the respective parties can possibly agree to other than what amounts to a photo opportunity. 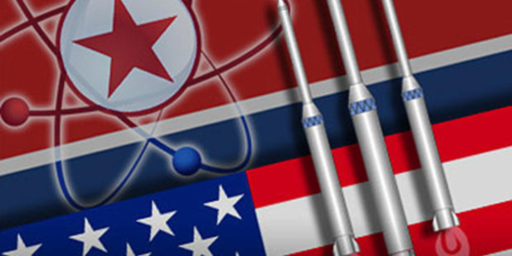 A couple weeks ago, the North Koreans made a big deal about destroying their nuclear test site. 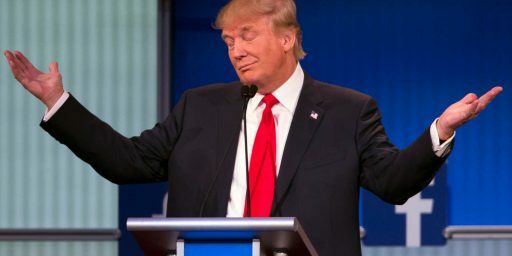 It now appears that the event the media witnessed was less than meets the eye. 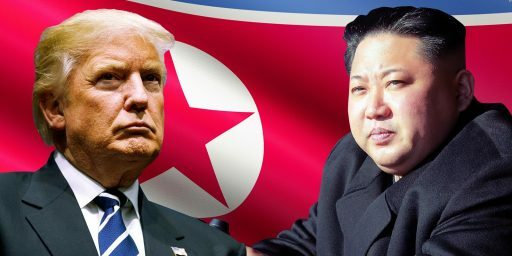 One day after canceling his summit meeting with Kim Jong Un, President Trump is suggesting it may be back on. Before it happens, though, there ought to be far more adequate preparation. 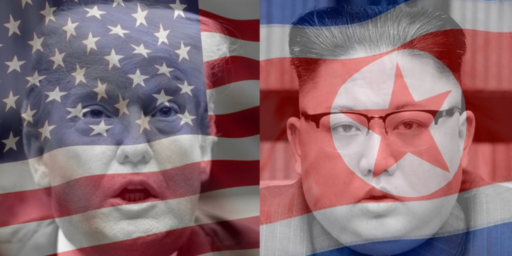 Seemingly out of the blue, the June 12th summit between President Trump and North Korean leader Kim Jong Un has been canceled by the United States. 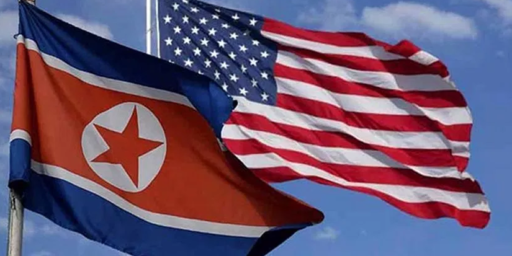 Not surprisingly, the North Koreans are pushing back against American efforts to force them into a corner on denuclearization. 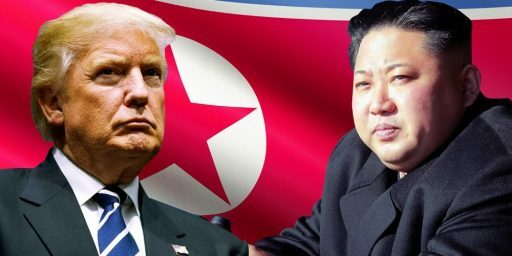 The date and location of the meeting between President Trump and Kim Jong Un has been set, but there’s as much chance of failure as their is hope for success. 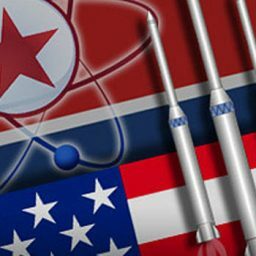 Some good news from North Korea. 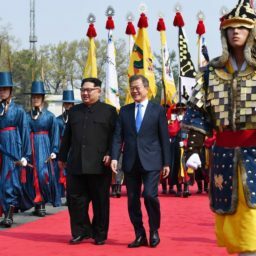 The meeting between Kim Jong-Un and Moon Jae-In was historic, but many questions and caveats remain. 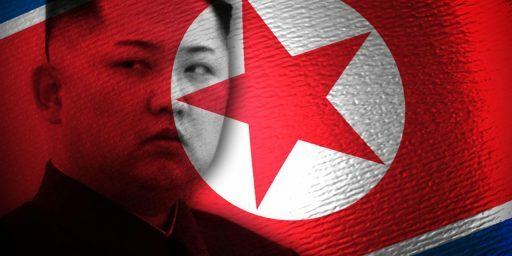 The Kim regime has announced the end, for now, of its nuclear and ballistic missile testing programs. To understand why they made this concession, one needs to read between the lines. 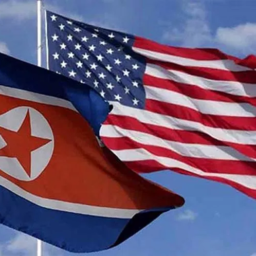 President Trump has announced a new round of sanctions against North Korea, but they are unlikely to work given the unrealistic nature of the Administration’s current policy toward North Korea. 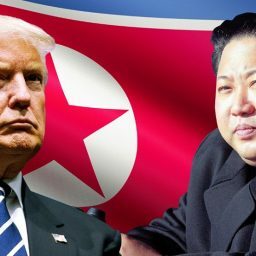 Why Does The U.S. Continue To Pursue An Impossible Goal With North Korea? 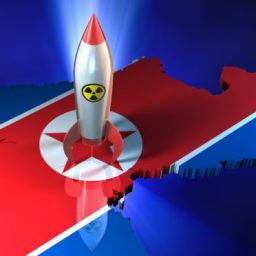 Why does the U.S. continue to pursue the seemingly impossible goal of denuclearization with regard to North Korea? 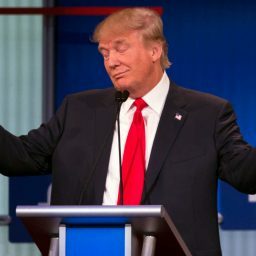 In part, it’s because we’re still locked into thirty-year-old rhetoric. 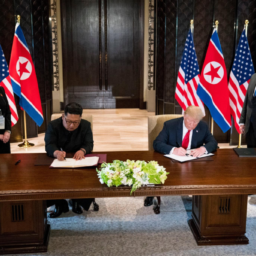 Expecting North Korea to agree to diplomatic talks that are aimed at getting rid of their nuclear weapons is asking for the impossible, and ensuring there will be no progress on the diplomatic front for the foreseeable future. 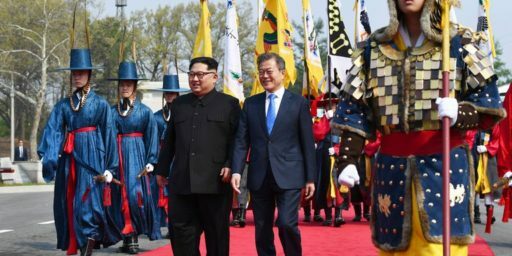 Some progress on easing tensions between North and South Korea. 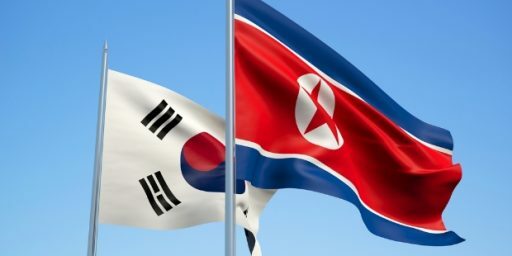 North Korean leader Kim Jong-Un is extending an olive branch of sorts to South Korea while simultaneously claiming success in achieving a nuclear deterrent. 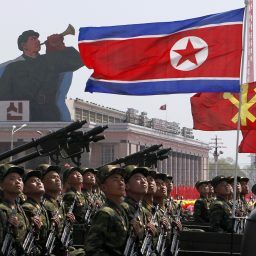 A recent defection from North Korea gives us a peek inside the DPRK, and it’s not pretty. 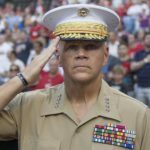 The people who would most immediately be impacted by a war on the Korean peninsula don’t seem quite so concerned. 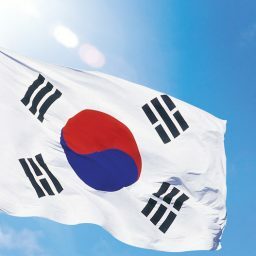 Perhaps we should take a cue from them. 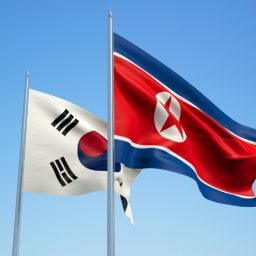 Another provocative move by North Korea. 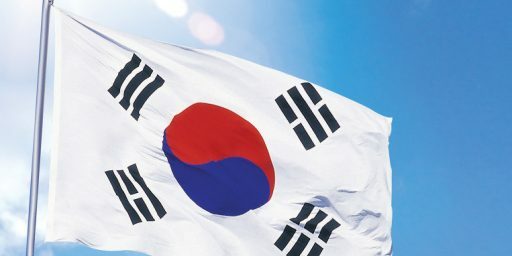 South Korea has elected a new President who breaks with his impeached predecessor in favoring dialogue with the North. 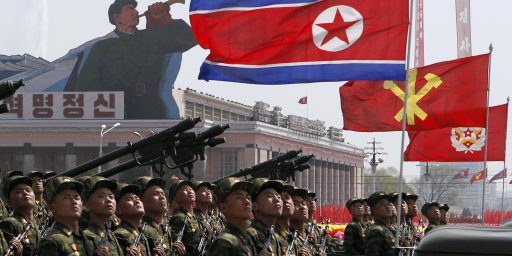 North Korea is pushing back against increased pressure from China over its nuclear weapons and ballistic missile programs. 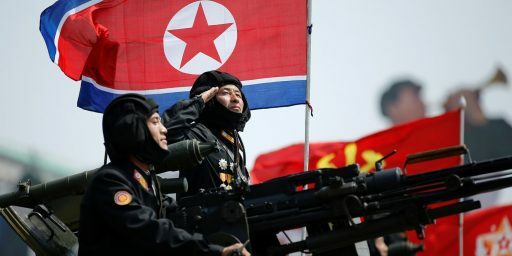 The North Koreans failed to successfully test a longer-range missile again yesterday, but tensions on the Korean Peninsula seem destined to increase in any case.